Finished inside a day! And a work day at that. 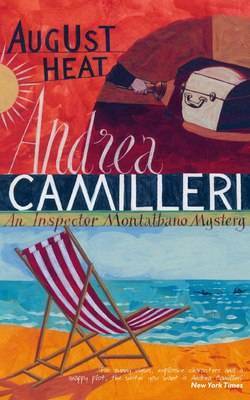 As this is the fifth or sixth Montalbano book I’ve read, there isn’t a great deal more I can add to what I’ve already written. Suffice to say, the books are an absolute pleasure to read despite their often sleazy subject matter. It’s no surprise that I’ll be following this with another straight away (although this is influenced by the impending library deadline to a certain extent). Two days, two books. I’m on a roll! It’s unlikely that I will continue at this rate though. I probably profess to like a great number of things, greater than I can possibly devote enough time to in order to sustain a decent level of interest. However, despite this I will now claim to like architecture. One of the best bits of a trip to London is looking at the new, modern blocks of apartments rising from the ground as the train passes through Stratford and the like. I have also been known to watch repeats of Grand Designs, so what more evidence would I possibly need to provide that I Like Architecture?! It’s this interest which prompted me to borrow this book from the library and I was richly rewarded. It’s not a long book, and many of its 267 pages are occupied with photos literally illustrating the point Alain De Botton is making. Despite that, there are a lot of interesting points raised and thoughts provoked. He has some very interesting theories regarding attractiveness, the meaning of the home, fashion and our duty to replace the natural beauty of the countryside with something more attractive rather than endless mass-produced identikit homes. As somebody who has occasionally entertained the idea of building his own home, this book gave me a lot to think about. Following on from ‘The Crimson Petal and the White’ comes this collection of short stories. Now, I’m not normally a fan of short stories. I often feel that if the idea were good enough it would be written into a full-length novel and as such many books of short stories are little more than collections of half-formed ideas and unfinished work – closer to a sketchbook than the finished canvas of the novel. However, this book is somehow different. Each story really is a story and despite being a little different from what I am accustomed to reading, I really enjoyed it. In fact, in a bout of insomnia, I finished the book in one evening. I would definitely recommend this to anyone, but especially those who have read ‘The Crimson Petal and the White’ as I think the background knowledge does add something to the enjoyment of the shorter stories. 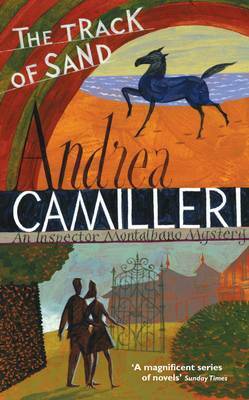 This entry was posted in Book Diary, Books and tagged Alain De Botton, Andrea Camilleri, Book Diary, Book Diary 2014, Books, Michael Faber by Philip. Bookmark the permalink.